Is your Laguna Beach business in search of a partner who understands the importance of maintaining a stable network infrastructure and increasing profitability? Advanced Network Consulting can help. We have been providing IT support for small and medium size businesses throughout Southern California, concentrating in Laguna Beach and surrounding Orange County beach cities. We specialize in increasing profit and productivity by securing your company servers, protecting company data, and maintaining the network for peak performance. Our technicians are Microsoft and Cisco Certified, personable, professional, and prompt. Same day appointments, scheduled appointments, and emergency services are available. How do we help achieve increased profits for your business? The single most effective technology solution is Preventive Maintenance: a proactive approach to properly securing your company network, thus minimizing downtime. Proper maintenance translates into stable, more reliable systems. ANC utilizes robust management capabilities traditionally available only via dedicated onsite administrators. Having real working experience in industries such as law, non-profits, audiology, chiropractic offices, Charter schools, financial and professional services, public relations, auto mechanics, manufacturing, real estate, escrow and mortgage offices, salons, optometrists, medical and dental offices, has allowed us to provide solutions and configurations to meet our clients’ needs not only today, but for sustained growth. Drawing on years of experience and proven methodologies, Advanced Network Consulting installs, maintains, and upgrades dozens of servers each year. Initially, servers can seem like a big expense, but vital in securing and growing your business. A solid and secure network gives you peace of mind. That alone is priceless. Throughout Southern California, specifically in Laguna Beach and surrounding Orange County beach cities, Advanced Network Consulting have been designing, deploying and maintaining servers for almost 20 years. We can also provide everything from ongoing network support to overseeing and managing large scale projects. It’s always difficult when a professional enters your business and gives an honest critique of how your network and systems can be improved. We’ve developed our reputation through raving clients and forging strong business relationships and our primary concern is making sure your business is sustainable and profitable. 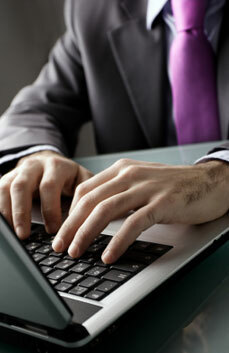 Our network professionals are trained, certified, personable and professional. Let’s discuss your company needs, ideas, growth, and plan for stability. We provide a no pressure, one hour complimentary strategy session to help design the foundation needed for your business to grow. We look forward for the opportunity to serve your company.